My home birth was doomed from the start…except I had no idea. If you’re currently pregnant and thinking about trying a home birth with a midwife, read this first! My entire second pregnancy went so smoothly. 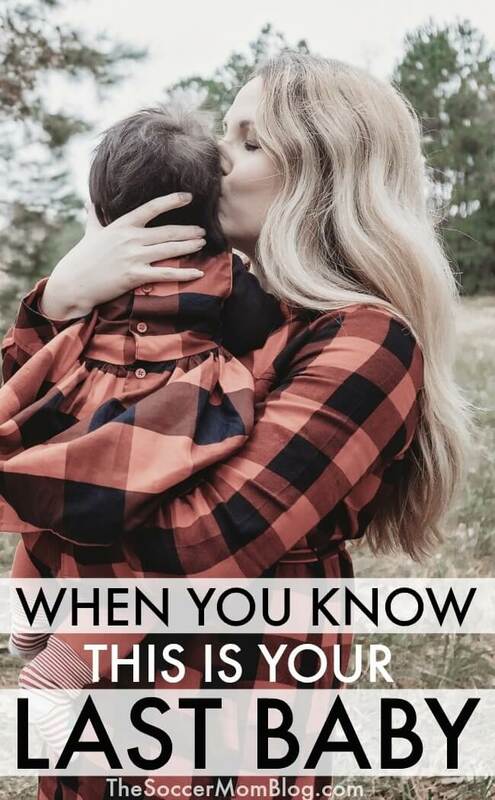 It almost seemed “too” easy, especially compared to my previous pregnancy which was uncomfortable and painful throughout the entire 10 months and ended in an unplanned c-section. This time around, I felt great! In fact, I was still attending my regular yoga class at 39 weeks pregnant! When the big day arrived, labor started on it’s own (which didn’t happen last time). My water broke on it’s own (again, didn’t happen last time). Labor progressed super fast. Everything seemed to be going exactly according to plan. I might finally get my “dream” birth! And then it all went terribly wrong. 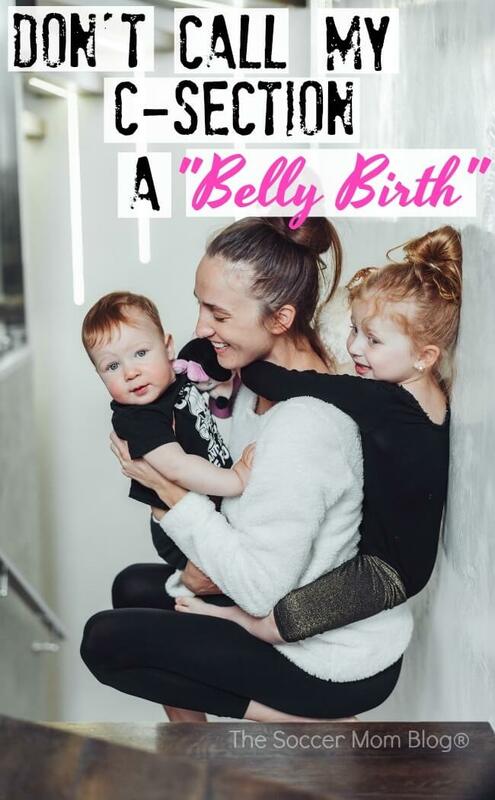 This is our home birth story: why I chose a home birth in the first place, what went wrong, and what I want other moms thinking about a home birth to know. At first the idea of a home birth sounded a little scary, but that was mainly because I didn’t personally know anyone who had done it. Home births account for less than 1% of all births in the United States each year — so it’s not a popular choice here. However, home births are actually fairly common and widely regarded as safe in other countries (22% of births in Denmark take place at home). The more I considered my options and the more my husband and I talked about it, the more I came around to the idea of a home birth. In fact, I started to look forward to it! When it was finally “go time,” my husband and I wouldn’t have to drive anywhere. Instead of waiting for one of the grandma’s to pick up the girls and then us driving to the midwife, both of them would be en route to our house at the same time. This would allow my husband and I to get everything in order while we waited. We would be able to labor in familiar surroundings, with everything I wanted and needed around me. I would have my own bed, my own birthing ball, my own food, etc. We would be on our own time frame, instead of being rushed by a doctor or hospital schedule. It would be a more intimate experience — just our family and our midwife team. Home birth is often more affordable than hospital birth. In our case, it would cost more to deliver at a hospital with our insurance than it would to pay completely out of pocket for a home birth. Our home birth was everything I’d hoped for — all of those things I mentioned above were exactly what we experienced. And then the baby got stuck. But first, let me back up and tell about the positives. I was 40 weeks and 3 days when contractions woke me up at 7am. I’d been having “false labor” for a couple weeks now, but this was different and I knew it. After an hour of strong contractions that were about 9 minutes apart, I called my midwife to put her on notice (she had a 45 minute drive to reach us). She said she would head our way when they were closer to 5 minutes apart. It was only about 2o minutes later that I called her to say my contractions were only 3-4 minutes apart. Things were moving FAST. I told my husband to call his mother to come get our middle daughter (our oldest happened to be away for the week already). His mom was there in less than 15 minutes, and by that point I could barely get a moment to hug my four-year-old goodbye without doubling over in pain. My husband began setting up the birthing tub in our living room while we waited for my midwife and her team. After what seemed like an eternity (but in reality was only about 40 minutes), my midwife’s first assistant arrived. She promptly instructed me to lie down on the couch and coached me through my contractions using the Bradley Method (a natural childbirth technique that emphasizes trusting your body, relaxation, and breathing exercises). This was hugely effective for me and I was able to relax, almost in a trance-like state. If you haven’t heard of the Bradley Method (affiliate link), I highly recommend looking into it! I was so relaxed that I didn’t even want to get off the couch when my midwife arrived. A few minutes later my midwife and her second assistant arrived and she checked to see how far along I was in labor. I could hardly believe it when she announced I was 8 centimeters dilated already — it was less than two hours since I woke up with contractions! Then my water broke and my midwife escorted me quickly to the birthing tub to get ready for the real action. I still couldn’t believe how fast things were happening! Once I got in the tub full of warm water, it seemed to melt away all the pain of the contractions. The assistant that was watching me to write down my contraction times had to keep asking if I was having them because I wasn’t showing pain. Believe it or not, I was in transition labor at this point, but you can’t tell by looking at me because the birthing tub helped relieve a lot of the pain. The birthing tub is the bomb!! I had no pain medication whatsoever, and it drastically reduced the amount of pain I felt. The contractions were completely manageable, even though we were already in the “transition” stage (which I remember being incredibly painful last time). Before I knew it, I was fully dilated and it was time to push. I won’t kid you and say that I didn’t feel those contractions. There’s no way around it, trying to push a baby out HURTS. But I felt in control this time. I was in my house laboring on my terms. My husband was right there with me — sometimes it felt like the rest of the world disappeared and it was just the two of us, working to get our daughter here. That was truly the most special thing about the entire home birth experience. It is so intimate, almost primal. But as the minutes turned into hours, I knew something was wrong. The baby wasn’t coming out. It felt like my pushes did absolutely nothing, no matter how hard I concentrated. My midwife and my husband tried to encourage me, and I tried to tell myself that I could do it too. I read somewhere that one of the reasons VBACs fail is that women get scared and give up. True or not, I didn’t want that to be me. However, I knew in my heart that my baby was stuck. Just like my first birth. Related: Why you should plan for a c-section (even if you don’t want one). With my first baby, I labored at a birthing center (with the same midwife). Everything went smoothly, I fully dilated and in about 7 hours we reached the pushing stage. Then the baby got stuck. After four hours of pushing unsuccessfully, we had no choice but to transfer to a nearby hospital for a c-section. It was a huge disappointment, but the most important thing was that both I and my daughter were safe. However, my surgeon at the hospital neglected to tell me or include in her delivery notes that I had a shallow pelvis which prevented my baby from passing fully into the birth canal. We simply thought that since my daughter was turned “sunny side up” that her positioning was responsible for failed labor. And so when we DID try again, my midwife ruled us to be good candidates for a home birth. I was healthy, my previous labor had progressed well, and my cesarean scar was small and well-healed. We all believed that bad positioning had caused my daughter to become stuck. If we could get our baby in the ideal birthing position this time, then there was no reason to think that a repeat cesarean was necessary. This one piece of crucial information could have saved us unnecessary pain and money because I would have known that a repeat cesarean was our safest option this time around. As much as I wanted to try a home birth, I’m not a crazy person! My midwife and I would never have made this decision if we had all the information we should have from my first surgeon. This surgeon’s negligence put mine and my daughter’s life in danger. Whether or not I try a home birth again is not up to me at all. Sadly, I don’t have the choice to try a home birth again. With two unsuccessful vaginal births both leading to emergency c-sections, not only is it unsafe for me to deliver outside of a hospital setting, it is unsafe for me to attempt another vaginal birth altogether. While in the hospital, both surgeons on duty advised me that if we try again, our delivery would have to be by scheduled cesarean. I don’t disagree with them on that at all — however, I don’t think I’m up for trying again period! There’s no getting around the fact that each subsequent cesarean birth adds more risk to the mother — since I’ve had two now, I don’t feel like tempting fate a third time. My husband and I have three beautiful girls, which is definitely a full house! I think we can say with confidence that our family is complete. Unbeknownst to me, I was not a good candidate for a home birth. Actually, I was not a good candidate for a VBAC period, whether I attempted labor in a hospital or at home. Natural birth is just not in the cards for me, as much as I wished it were. However, despite the disappointing outcome, I don’t regret trying for a home birth. The home birth experience is empowering. I felt completely comfortable — I was in familiar surroundings, I knew what to expect because it wasn’t my first birth, and I was determined to have the birth that I wanted. My labor at home in the birthing tub was WAY less painful than when I labored with my first baby in a birthing center. I didn’t have any pain medication either time, but for some reason being at home and comfortable helped me to work through the pain so that I actually felt it less. Our home birth was so special — I felt a connection to my husband that I don’t think you get anywhere else. It was just me and him, working together to bring our daughter into the world. I honestly tuned out my midwife and her team unless they addressed me directly with instructions. It was as if no one else was in the room but the two of us. 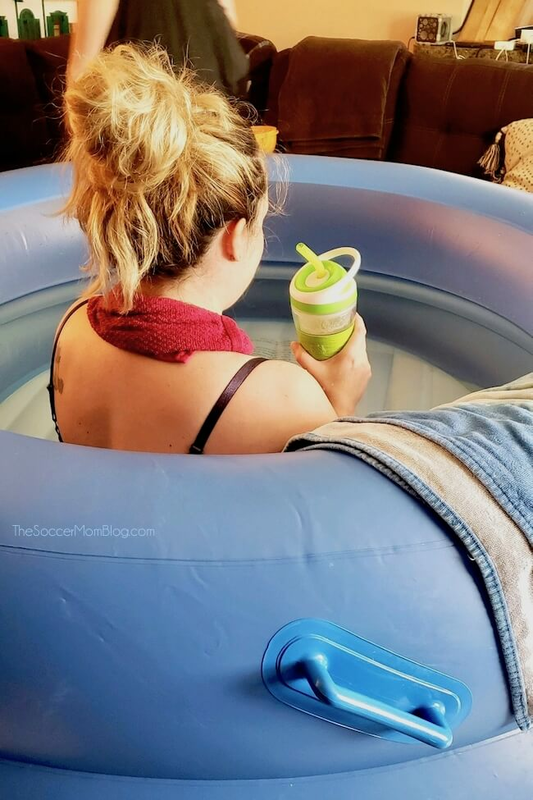 So even though the final outcome of a c-section wasn’t what I planned or hoped for, I am grateful for the experience we had attempting a home birth. Plus, the c-section wasn’t a consequence of trying a home birth, but rather my genetics. I would have ended up in the operating room no matter where I chose to start labor. Childbirth is inherently risky, and there are indeed risks involved with home birth. However, if you are a good candidate for home birth, and working with a qualified midwife, statistically it may be safer than a hospital birth. What Makes a Good Candidate for Home Birth? Based on those three criteria, I seemed like a candidate for home birth. However, since my previous surgeon had withheld information (or was ignorant herself), I did not know that my pelvis size/shape would make vaginal birth nearly impossible. Is Home Birth Safe if You’ve Already Had a C-Section? Because I’d already had one cesarean delivery, I was attempting a home VBAC (vaginal birth after cesarean), also known as a HBAC. There is a common perception that if you’ve already had a c-section that the automatic safest choice for a future birth(s) is a repeat c-section. However, this is a major surgery with more risks than vaginal birth and a much longer recovery time. It’s not necessarily safer. The key is knowing why you had a c-section in the first place and if vaginal birth is possible for you a second time. My first c-section was a traumatic experience, which is why I wanted to try a VBAC for my second. According to a recent comprehensive study on home VBACs, the VBAC success rate for mothers with prior c-sections is actually quite high (87-94% depending on whether or not they’d experienced a prior vaginal birth or VBAC, both of which increased the odds for successful future VBACs). Choose a Certified Nurse Midwife (they’ve passed rigorous training in midwifery and are also a registered nurse) and someone that you feel absolutely comfortable with and are confident in their abilities. This person is responsible for your care throughout the entire pregnancy and delivery, and will have your life and the life of your baby in their hands. Always create a backup plan! No matter what your goal is for labor and childbirth, sometimes the end results are out of our control. It is so important to have a plan to get to the nearest hospital as quickly as possible. I also called my insurance a few weeks out to make sure that my chosen hospital was covered and how emergency expenses would be handled. Click here to read why you should plan for a c-section…even if you don’t want one. If you need to transfer for any reason to your backup hospital, call ahead to let them know you’re on the way. Actually, someone else (ideally your midwife) will need to make this call for you. They’ll know exactly what to say and what information the hospital needs to prepare for your arrival. Have a “go bag” ready just in case you need to transfer to a hospital, including what you’d normally pack in your hospital bag. You’ll definitely want your ID and insurance information handy. 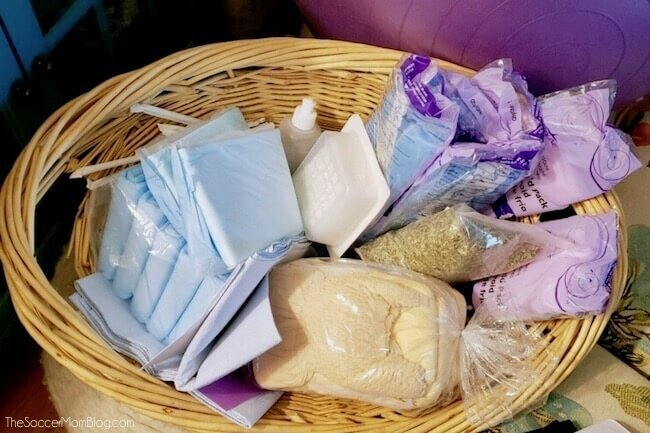 While your midwife will bring the supplies she needs for delivery, there are likely a few items that you’ll be expected to purchase for yourself. Chux pads to cover couches, beds, etc. Related: My 10 favorite smoothie recipes perfect for keeping your energy up in labor. When my surgeon came to check on me after my c-section this time, I could tell she thought I was crazy for attempting a home birth. Completely understandable since she only deals with the instances where home births don’t work out the way they should. This is often the prevailing thought on home births from the hospital side. However, opinions are slowly changing. One of the nurses that cared for me during my hospital stay told me about her daughter’s decision to have a home birth recently. Being a labor and delivery nurse, she sees it all when it comes to childbirth, including the worst-case scenarios. Because of this, she was understandably against her daughter’s decision. Fortunately, the nurse’s daughter had a safe home birth and a wonderful experience. The nurse explained that it changed the way she thought about home births, and that she realized that they way they do it in the hospital was perhaps a bit intrusive. It was nice to have someone from the hospital side not judge me for my decision, and understand why women might want an experience that didn’t involve a rotating staff and rooms full of beeping machines. Ultimately, where you choose to deliver is a highly personal decision that you’ll make with your partner and your doctor/midwife. A home birth may not be an option for you, depending on your medical history. But if you are a candidate, it is worth considering if you are looking for an alternative to a medicated hospital birth. Disclaimer: This post is based on my own personal experience; I am not a medical professional. The information in this post should not be taken as medical advice. I gave birth Nov 2017 and was shattered when after four days of back labor, dilating and then pushing for 6 hours unmedicated resulted with a C section where I had to be put under general anesthesia because I felt the surgery. I felt so angry and robbed the first month that in my googling I came across your blog and when I read the blog about your first birth I though, SHE GETS ME. Congratulations on baby! I’d like to attempt a VBAC. Do you think there was any way to find out if you have a shallow pelvis outside of the C section? First, I’m so sorry that you felt robbed after birth – I know how that feels (your experience sounds a lot like mine), but those feelings do go away over time. Eventually you’ll hardly think about HOW the babies got here. Since your labor sounds a lot like mine, I worry that you have a similar issue which might make natural birth hard. I thought because I fully dilated the first time that meant my body knew what to do and it would be easier the second time, but my surgeon said it was the opposite. Definitely get the surgical notes from your first hospital (your current doctor or midwife will know how to ask for a medical records release) so you and your provider can get a better idea of what happened. If possible, I would try to set an appointment with the surgeon that delivered you too and see if they have any insight. If you do end up with a repeat c-section, I will say that recovery was easier this time because I knew what to expect 🙂 I hope everything goes well for you!